Whether your kid is part mermaid and always in the water or a shy swimmer who stays in the shallow end, summer swimming, especially as a family is upon us. 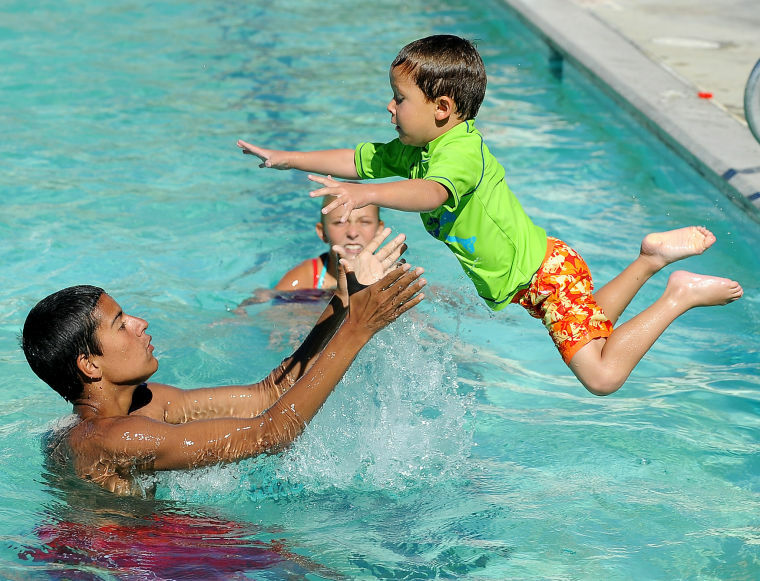 Now that the summer season is here, it is the perfect time to sign you kids up for swim clubs. These clubs will give your kids a skill that will last them their whole life, and may even some day save their life. But above all else, swimming is a gift we can give all our kids this summer. If you aren’t sure they will love it, why not listen to what some of the world’s Olympic winning swimmers have to say about the experience of summer swimming and the joy of moving through the water. But even if your kids are only sometime swimmers, doing this activity this summer will also leave them with some of their best memories. Who doesn’t love memories of summer swimming days, diving from the edge and swimming out to floating docks to lie in the sun? For most of us, some of our best family memories are ones of summer swimming with friends and family. If you have a child who seems at home in the water, and loves to excel then swim clubs might be a great place for them to explore these skills. While many of us begin and end as recreational swimmers, 80% of summer swimmers fall in this category, some kids go on beyond. This is where swim clubs like the organization Swim Today comes into play. They can help you find swim clubs in your area that will help your child open up their potential or simply learn to love swimming even more. Whatever your choice, summer swimming for fun or swimming in a competitive team, now is a great time to help your child explore the wet world around them. They just may thank you for it when they grow up.